Since many years I have been collecting animal-stories that I experienced by myself and wrote down in a story-collection called “Very nice and animal-like…”. These stories and anecdotes are all authentic, because I have experienced them by myself. Some from this collection I have published in my Book “a Life with Sighthounds… and other Animals” now, that has been edited in the Kynos Publishing House. 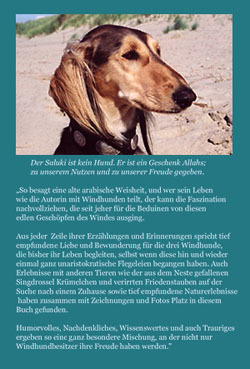 But it is not a “Sighthound-Book” in the usual sense: Narrative texts should produce a personal contact between the reader and the Sighthounds “Ricky, Shari and Gorazan” in this book. But at the same time the reader will get some information about this special dog-race and can make a picture himself on the basis of photos and designs. 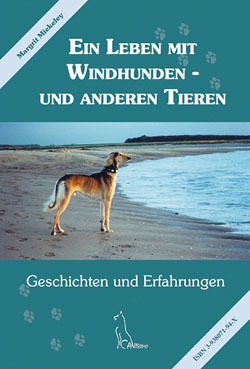 Beside Sighthounds different dogs and animal species are mentioned in this book. Yes, the Owner of Sighthounds is a real Fancier of this aristocratic Dog Race, but he can focus his point of view and opens his heart for other animals. So nature impressions are described, which the dog owner happens to know during his daily walks. He is not only an animal-lover, but also a nature connected human, who is thinking himself about Nature Protection and Environment in the “Age of Regulations”. Mussels are not bad at all! The Bear is the Matter! If you have become curious about this Book, then you should follow this link. There you can order your copy NOW! Attention! The First Edition is out of print after already 9 months. Some more can be ordered however still directly by the authoress.